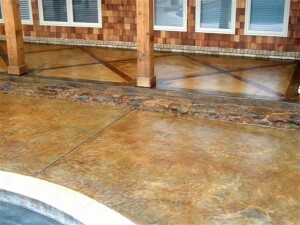 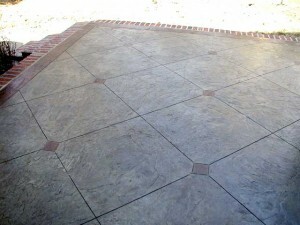 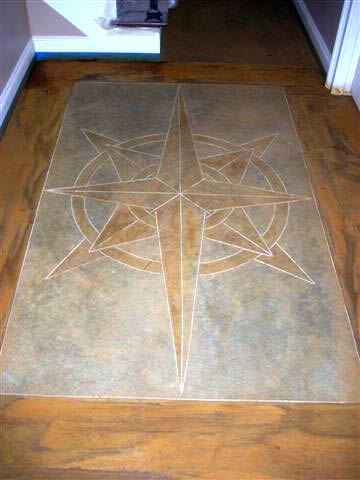 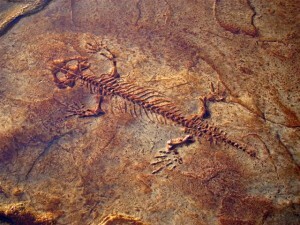 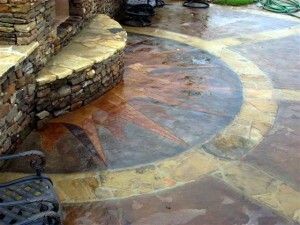 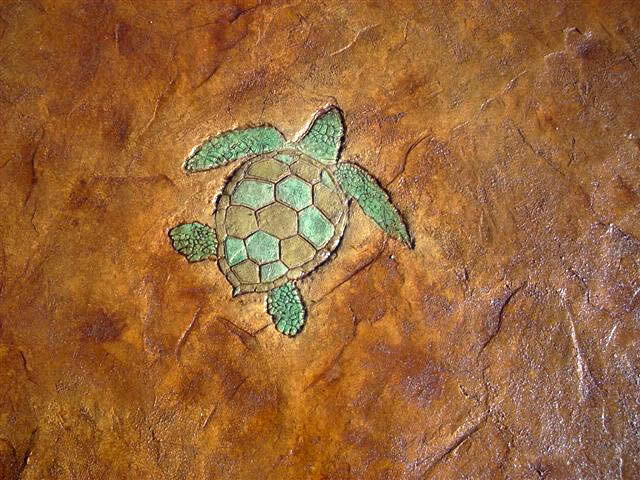 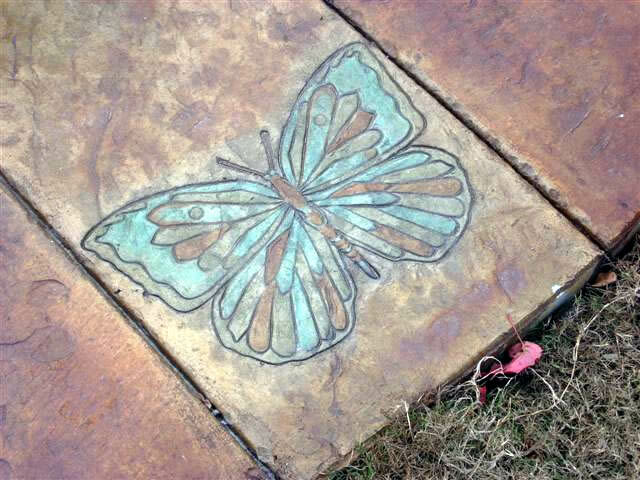 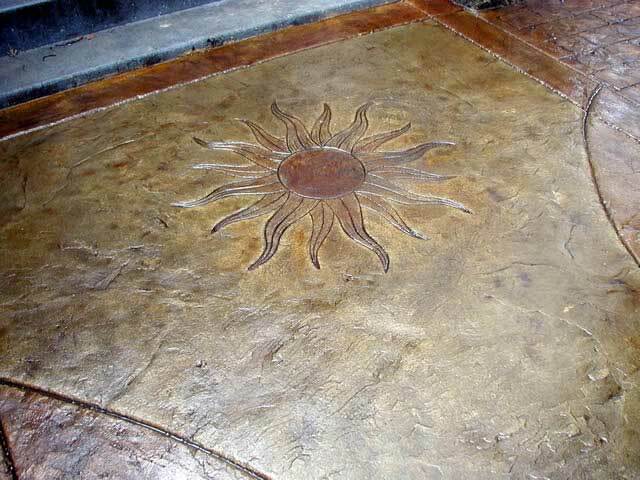 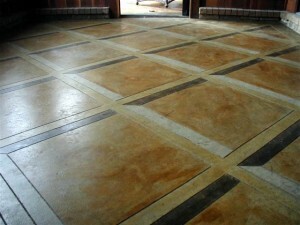 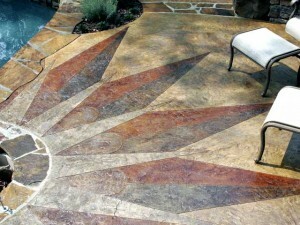 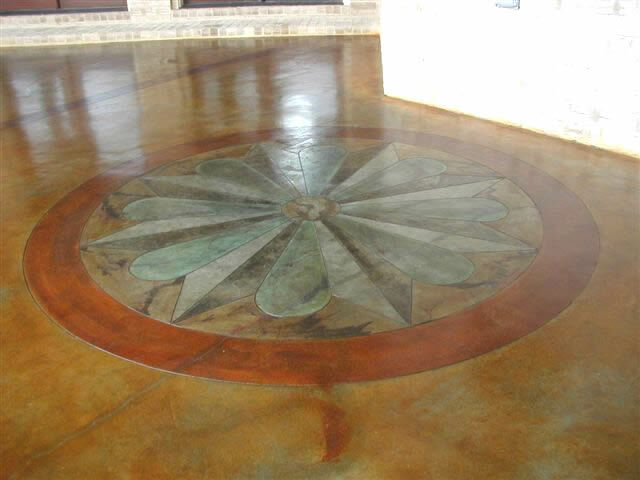 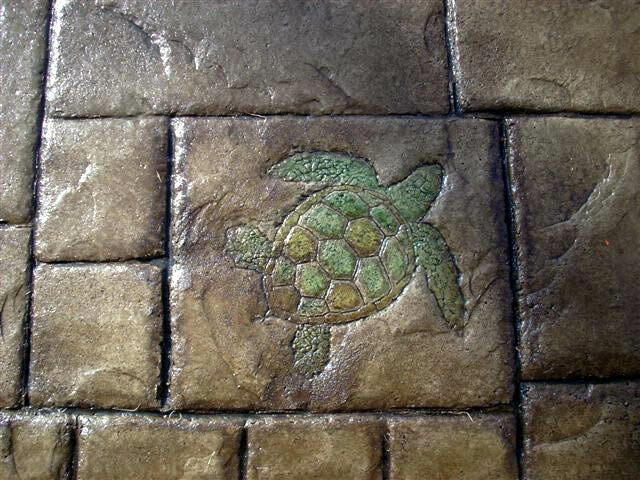 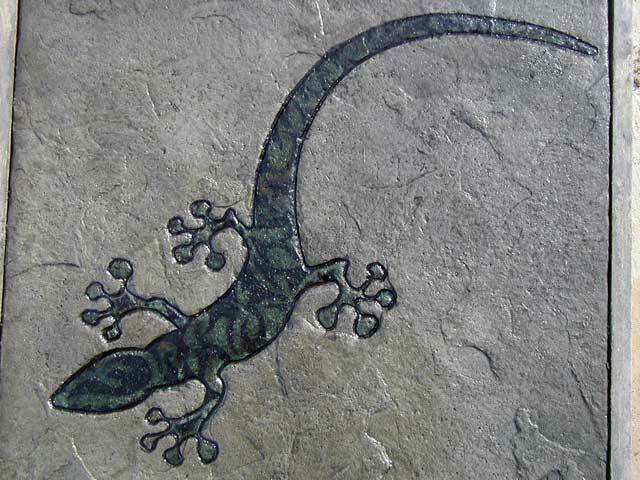 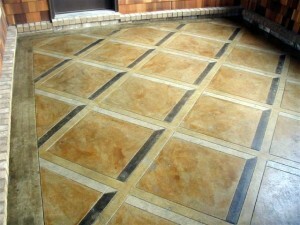 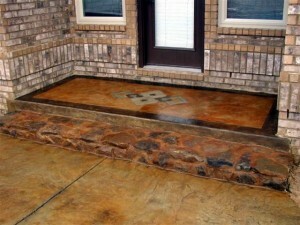 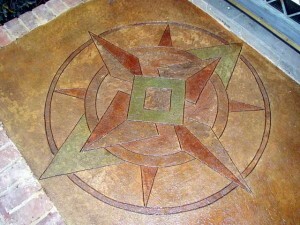 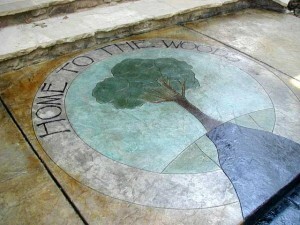 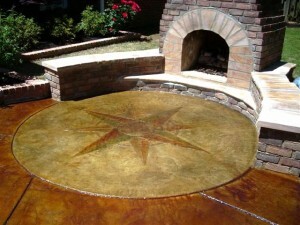 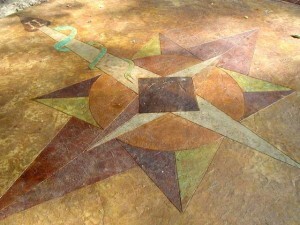 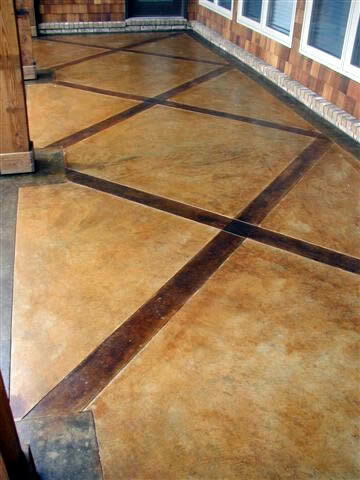 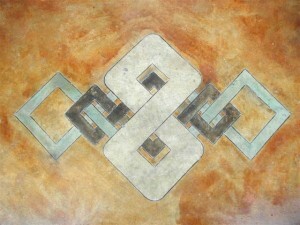 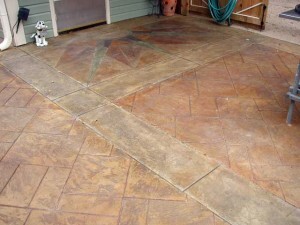 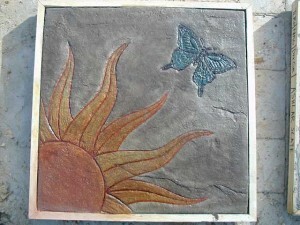 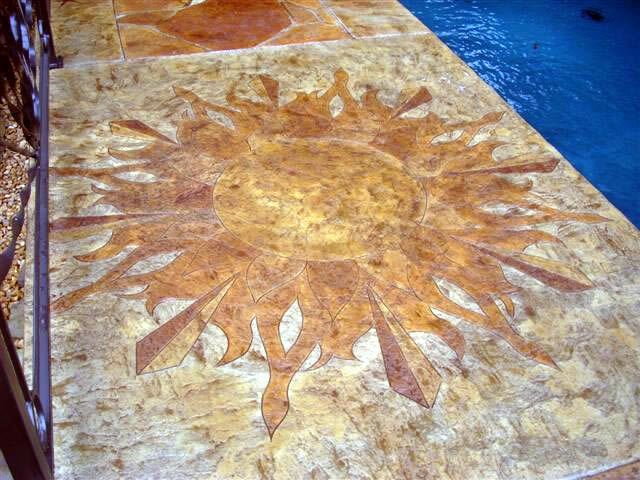 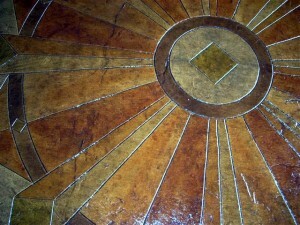 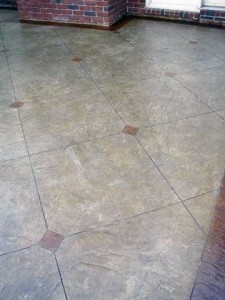 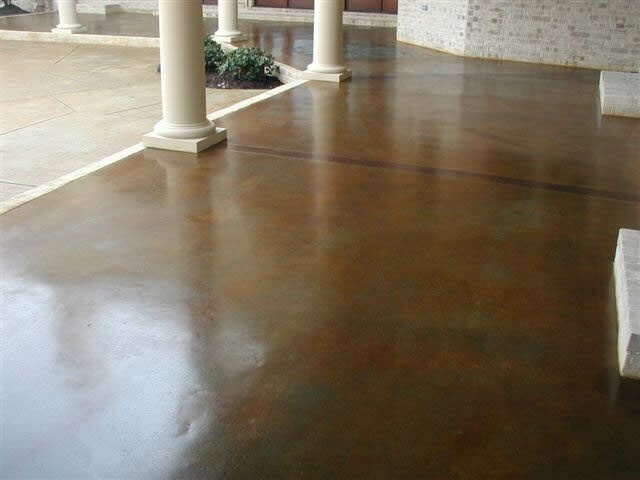 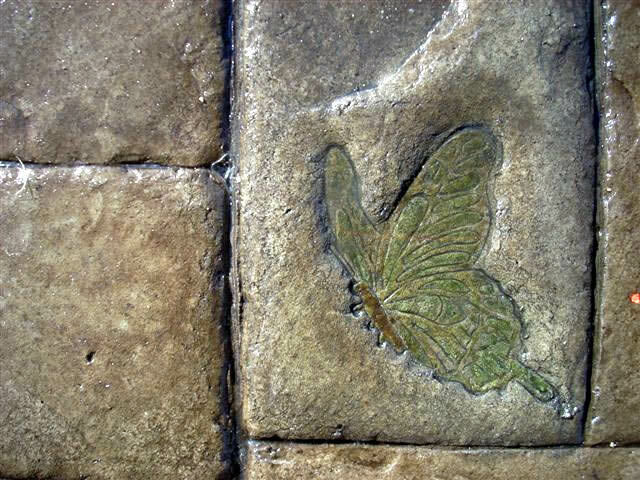 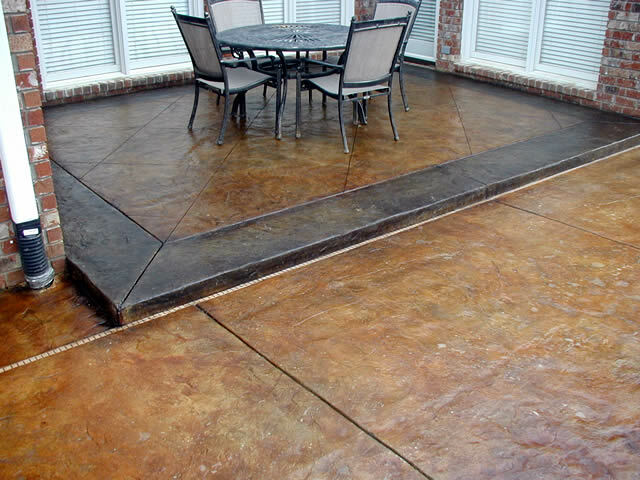 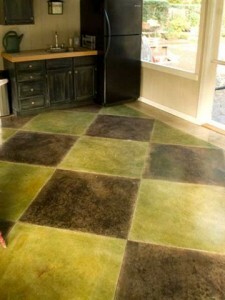 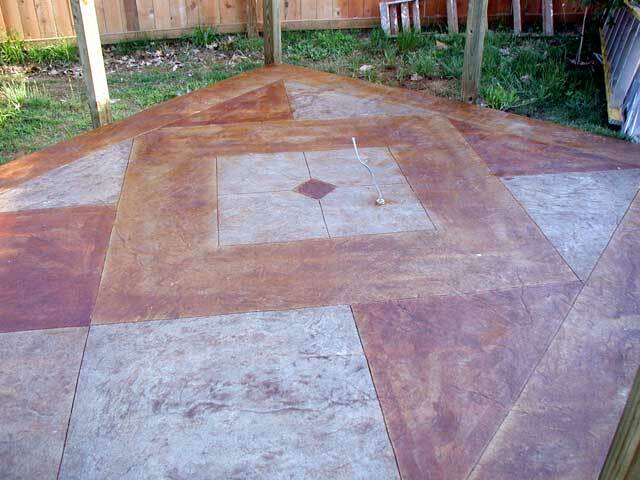 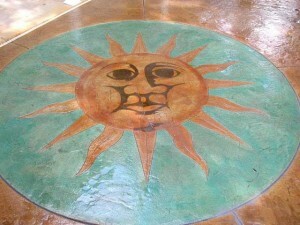 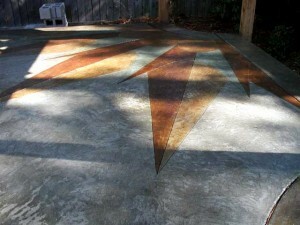 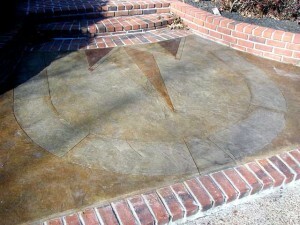 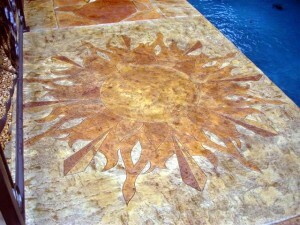 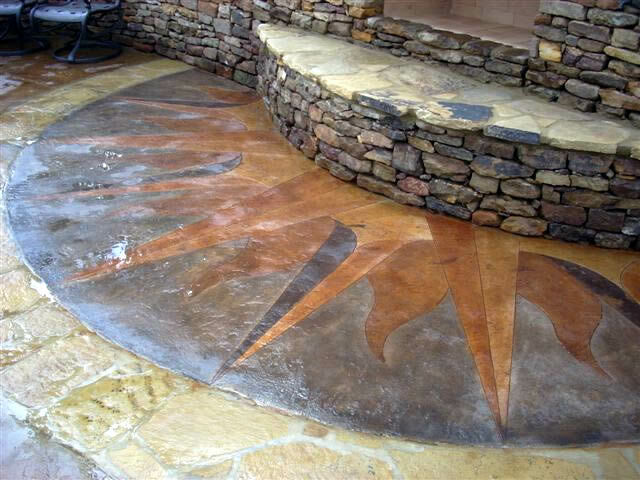 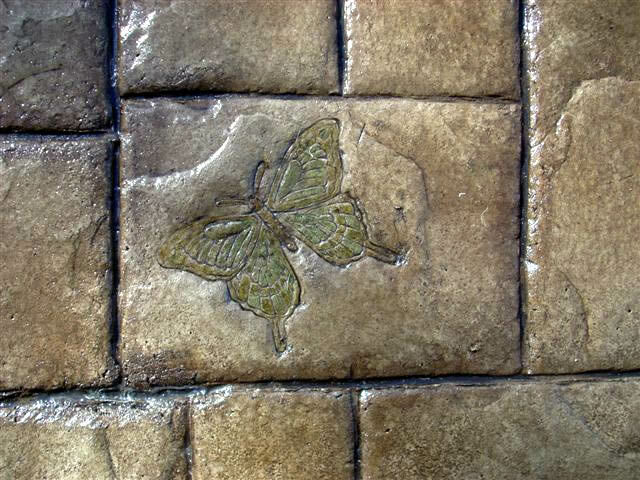 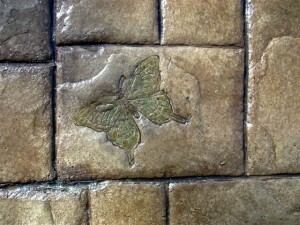 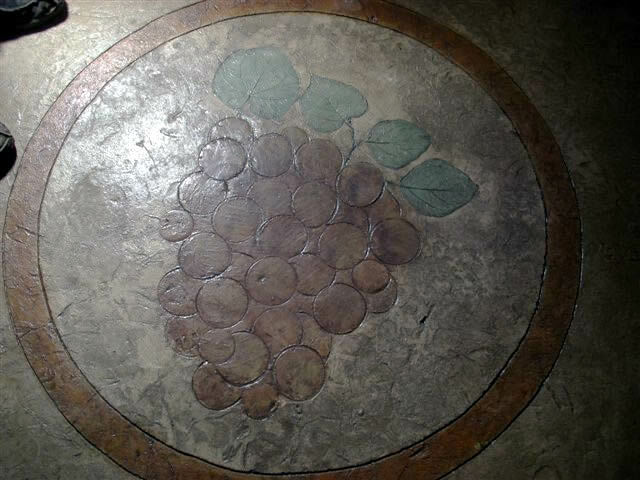 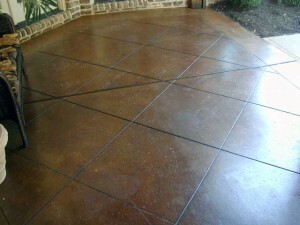 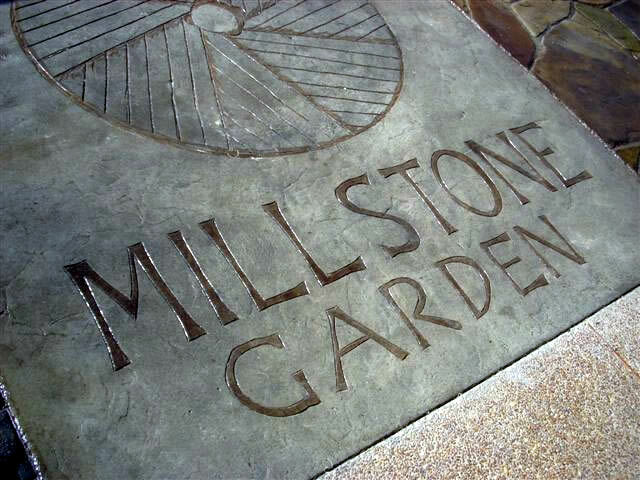 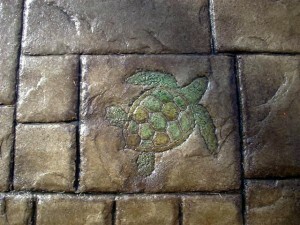 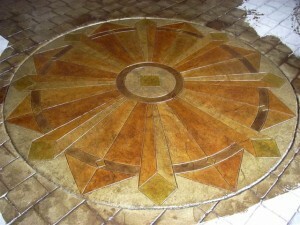 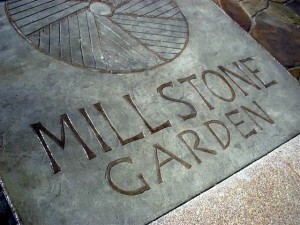 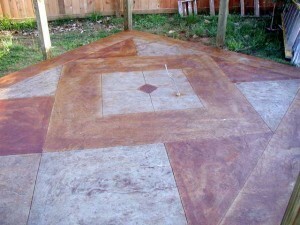 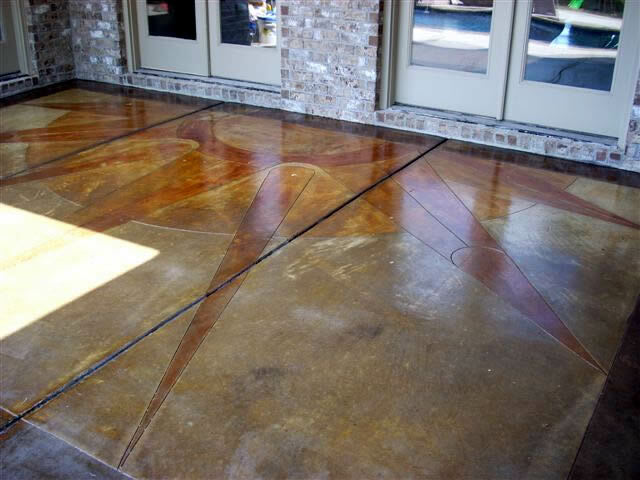 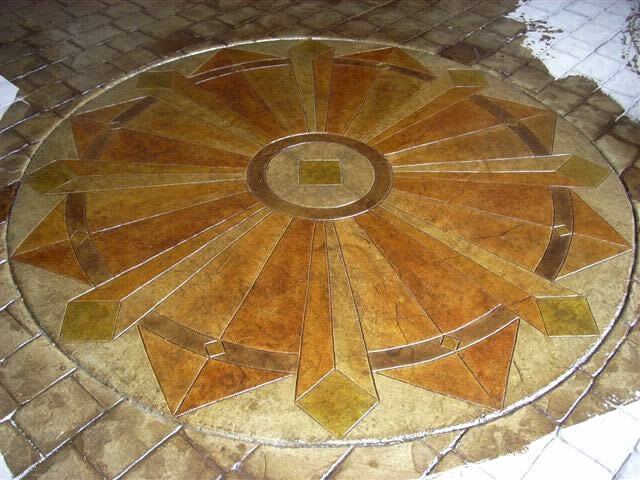 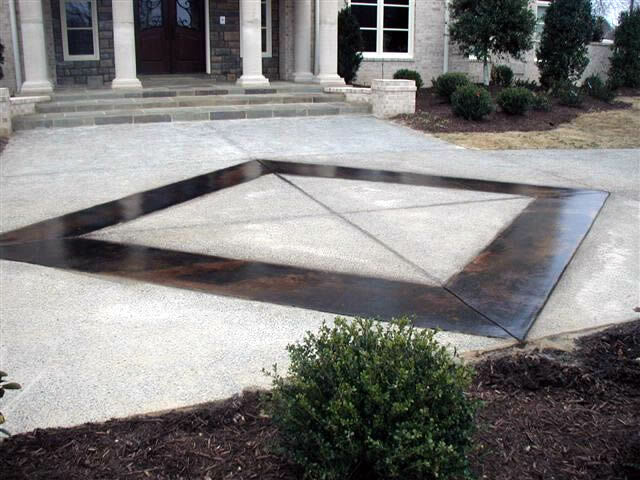 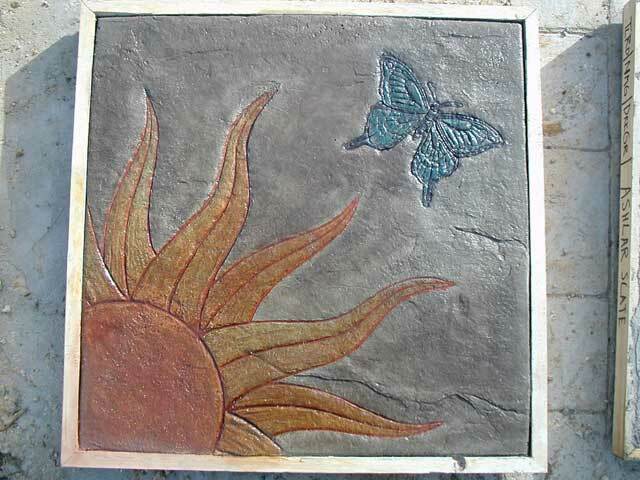 Decorative scoring is a method of using abrasive blades to etch the surface of the concrete to achieve a pattern. Often but not limited to linear grid-patterns, scoring can make an otherwise ordinary concrete take on a whole different character. 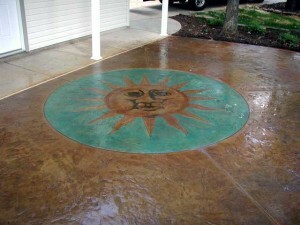 Baltz and Sons Concrete has pushed this method a little further by using the same technique to achieve more iconic and artistic creations. Our score-crewmen are artists in every sense of the word — turning flat, non-descript slabs of concrete into works of art. 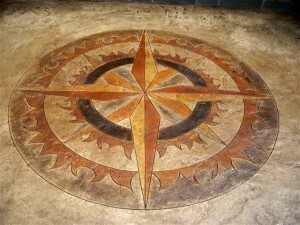 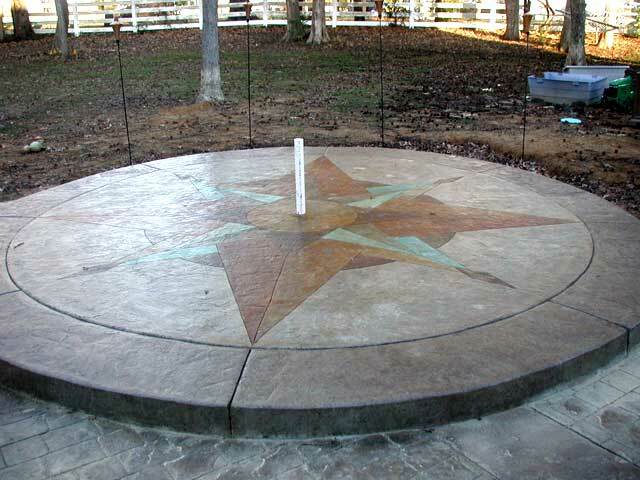 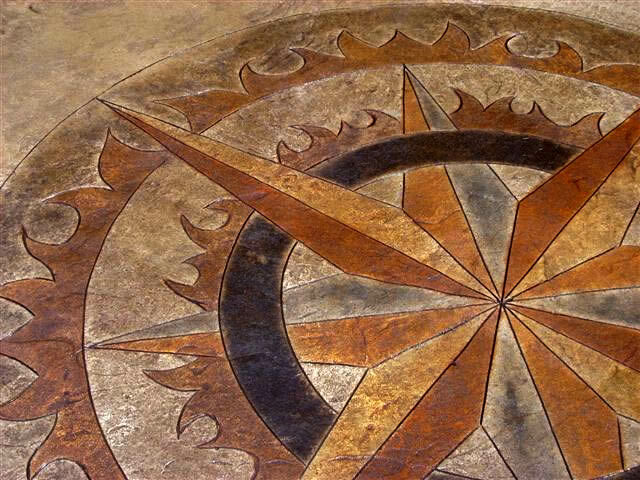 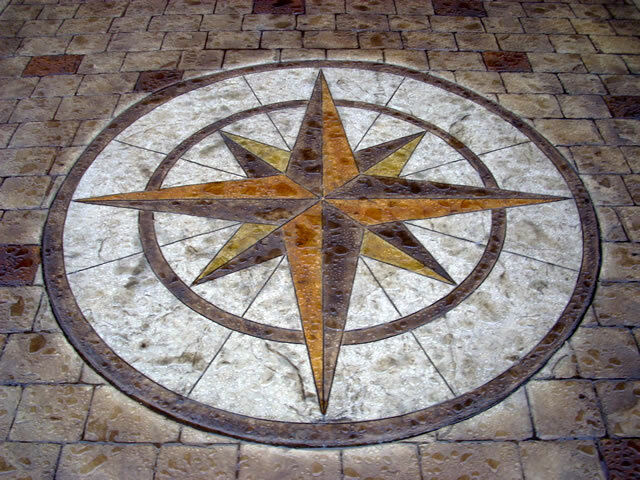 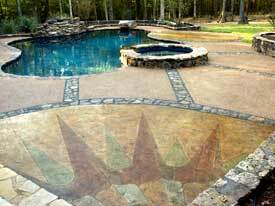 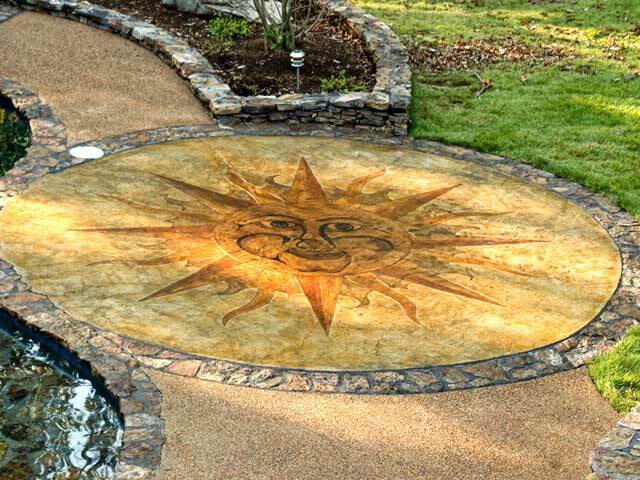 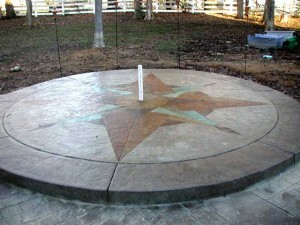 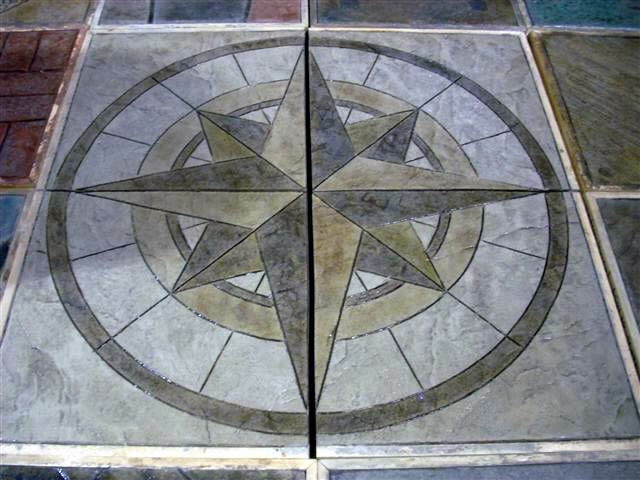 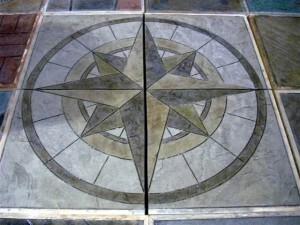 Compass Roses, Sun faces, Star-patterns, Curving Flame-bursts, not to mention countless linear patterns — the possibilities are limitless — Baltz and Sons Concrete can accommodate virtually any shape or design, and custom scoring is our specialty.